Call quality on voice over the internet (VoIP) phone services is not equal. This has to do with a wide range of issues from hardware to software infrastructure to internet speeds. However, when you’re trying to have a phone conversation, you don’t want to be considering how your VoIP provider is processing your call audio. You just want a clear, high-quality phone call. Let’s break down some of the ways that Ooma achieves an unprecedented call quality in our VoIP home phone service. All VoIP phone service providers transmit your phone calls over the Internet. And because there are limits to your Internet speeds, the less data is required for audio, the more reliable are your phone calls. And this efficiency contributes to increased clarity. Ooma’s advanced voice compression algorithm reduces bandwidth consumption by 60% over standard VoIP technology. Additionally, the way that the voice data is compressed makes it more capable of withstanding packet loss without degradation. When voice data is being transmitted over the Internet, any data that is dropped (otherwise known as packet loss) will reduce your telephone audio quality, resulting in a conversation that sounds stuttered or garbled. 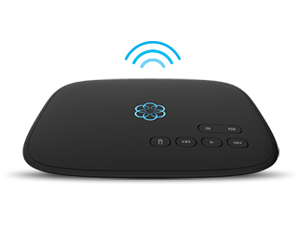 To counter this, Ooma Telo automatically monitors how your voice data is being transmitted. If it detects packet loss, it will automatically transmit redundant packets so that the audio transmission remains complete, and phone call clarity remains intact. Another way that Ooma helps your call quality is by prioritizing phone calls so that they receive all of the network attention that they need. In situations where you have limited bandwidth or when someone in your household is doing data-intensive internet tasks, VoIP users can experience a decline in call quality. This can cause delays in hearing what the other person in the conversation is saying, or it could be that digitized sound when a call breaks up. While much of Ooma’s call prioritization protocols happen behind the scenes, the one key factor to remember is to plug your Ooma Telo directly into your modem, and not into a separate router. This positions your hardware so that Ooma can intelligently prioritize your voice traffic. Ooma’s internal algorithm is automatically activated to prioritize your telephone traffic so that your calls have high-quality audio. However, it is possible to further refine the algorithm to your particular network connection by configuring your Quality of Service (QoS). Our setup guide walks you through each step of this process, but to summarize, you’ll run a speed test on your network. Then you will input the “upload speed” results into Ooma’s QoS settings at http://support.ooma.com/home/. Many other routers and VoIP adapters simply guess your upstream Internet speeds without any test or configurations. In scenarios where there is not proper configuration, users can encounter wasted bandwidth or degraded voice quality. Ooma calls made between two Ooma HD-capable phones have an unprecedented level of realism. In fact, Ooma calls made using HD Voice capture twice the acoustic information as traditional calls or landline calls, providing a richer and more natural-sounding conversation. 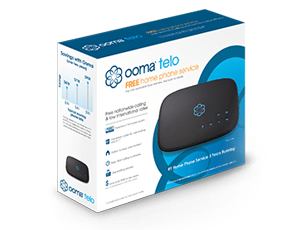 Have a Ooma Telo Handset, and want to test HD Voice? Ooma has set up a few sample lines so that you can hear how good birdsong, a piano, or voicemail sounds in HD. To demonstrate Ooma’s multifaceted approach to audio quality, visit https://www.ooma.com/home-phone-service/ to listen and compare audio samples from Ooma and our competitors. The test recordings, captured in a situation with 30 percent data loss, show the striking difference between Ooma’s crystal clear voice quality and the competition. Any suggestions for improving connection for a satellite link? I’m using Excede.